Thanks for the greetings and PM's. As many of you know, I have mixed feelings about posting anymore of this forum. Welcome back Wazari. I am glad to see you here again. Hope you keep posting from now on as usual. I'm quick to report the usual suspects around here whose negativity and rudeness contribute perhaps to your negative feelings about this place. I hope others do the same and the mods are vigilant. Last edited by nzjrs on Tue May 29, 2018 3:30 pm, edited 1 time in total. I have loved formula 1 for over 10 years, since I was a young kid. 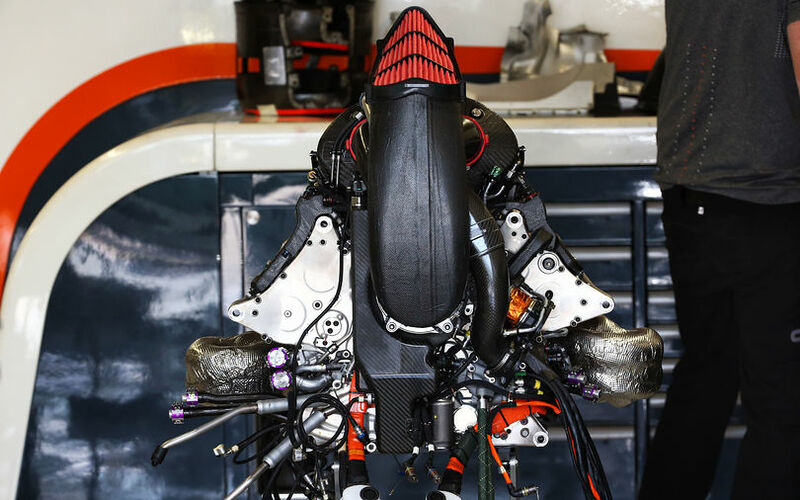 your conversations here and insight into the Honda project have been amazing to read - You are probably single handily the reason I created an account on F1technical and stuck around. Thanks for the greetings and PM's. As many of you know, I have mixed feelings about posting anymore of this forum but that "C in the V" was just too clever not to comment on. I also had a personal health scare that started about 3 months ago that is now resolved. I am fine. I do know there is a substantial ICE upgrade built and being tested. For personal reasons I really want to see it in the car. I know it was on the master calendar to be first installed for the Canadian GP. Whether that will happen or not is up to the directors and that decision probably won't be made until next Sunday or Monday. I do know Tanabe-san very well and he is very conservative when it comes to release of new technologies. Welcome back, if you do not post here, where do you post?? If the Redbull deal is really and truly on the cards then surely bringing the upgrade is a must?? @nzjrs, I do not understand your strange reaction. May I not welcome Wazari after his long period of illness? I believe that the new PU debuts in Canada. Christian Horner: "We're waiting with great interest to see the relative performance of engines in Montreal in two weeks' time,"
First, Wazari san, I´m glad you are fine now. According with Albert, Honda would have ready the evolution for Canada. Oops! I accidentally quoted you . It was a general comment to those other users which appear in Wazari threads with nothing nice to say. Apologies accepted. I also agree with your post about the rude people. With the two separate sources quoting different figure gains, could one be race (+27) and one be Qualifying (+40)?? Or both be wildly optimistic. We always hear these inflated figures before hand then end up with single or low double digit jumps no matter who the manufacturer is. They don't help keep expectations in order as when they fail to materialise the manufacturer then gets criticised for poor upgrades. I can't think of one single upgrade in 4 and a bit seasons that brought anything close to that amount. Maybe Ferrari's over the winter 2014/15? 27 and 40 is quite a bit.. where did you see those figures?